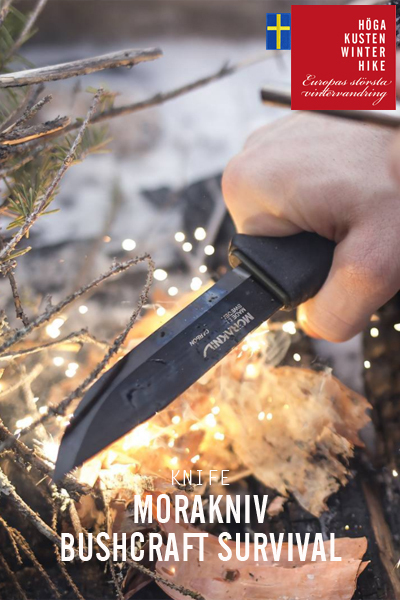 You do not need the latest equipment to get out on a winter adventure. But you need to be able to stay comfortable, drink and eat enough and get a decent nights sleep. 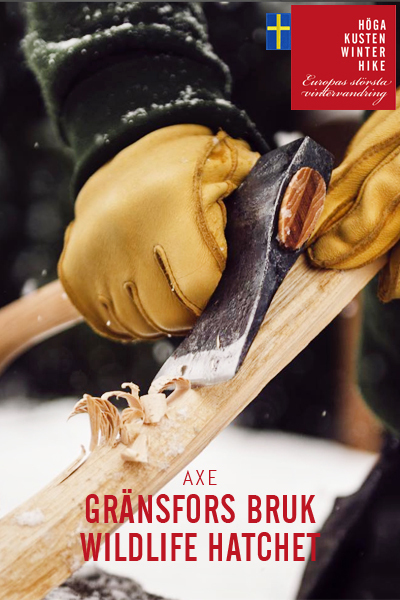 For your own and other hikers safety you also need to bring some basic safety equipment. Here you find the equipment you must bring to the High Coast Winter Hike. There is not a big difference from what you need for a summer hike. Some more insulating layers, a thicker sleeping-bag (or two where you place one inside the other) and two sleeping pads to get better insulation from the snow is usually enough. Well pack and dress according to the layer-principle. 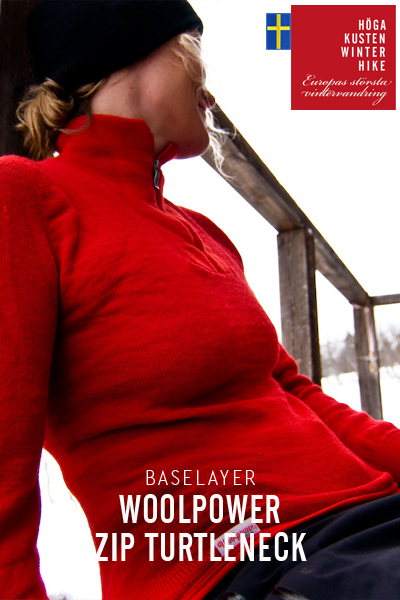 Baselayer that transports moist and keep you dry and warm. A warming fleece as mid-layer and some shell garments like jacket and trousers. When you take breaks to rest, eat and enjoy the views you will need an insulating jacket with down or synthetic filling. Remember that it is perfectly allowed to take out your sleepingbag and make it even more comfortable. The trick is not to sweat too much or get too cold – so you need to adjust your clothing during the day. We will go through all this during the first outdoor school so no need to worry. Backpack, stove, sleepingbag, tent and sleeping pad is something you might already have or could borrow from friends after a simple facebook post. Just make sure you know how to use the equipment. During the night a lot of the heat loss is due to the snow underneath so it is a good idea to bring two sleeping pads. Most people do not have a winter sleepingbag so why not bring two and put the thinner in the thicker. For extra insulation you could always place your thicker jacket on top of it all and make it is super-cozy. 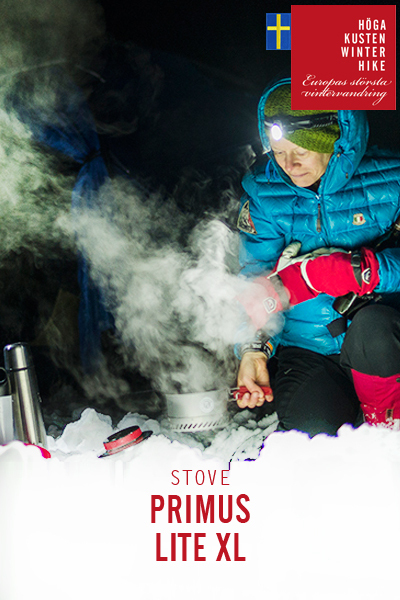 Place your thermos with some hot chocolate next to you and you will feel like you´re in heaven. You will notice that you will really need your showshoes on some parts of the hike while you are better to take them of sometimes. This is extra important in climbs between cliffs so here you should take them off. 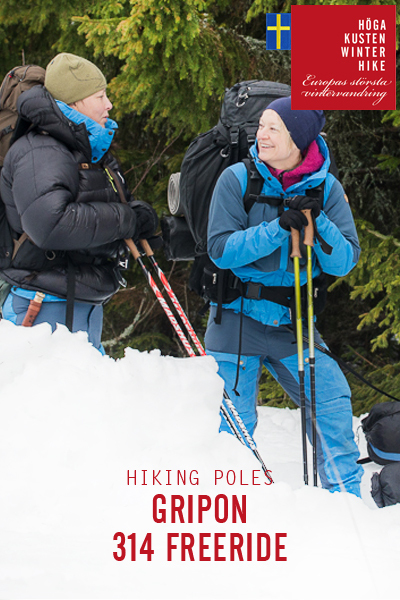 We recommend to bring a pair of hiking poles for better balance. Garlic and Parmesane cheese to enhance food. If you like to rent Fjällrävens most awarded tent we have some. It is super easy to raise and is well ventilated and fits two people. Price: 100 Euro / 1 000 Sek for the entire adventure. Send an e-mail to info@friluftsbyn.se if you are interested. 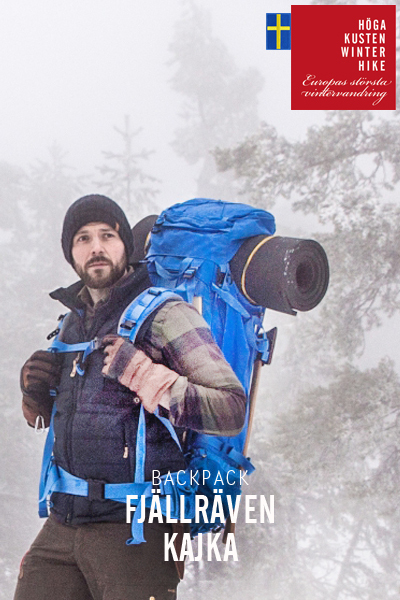 Fjällräven Polar -30 is one of the markets most insulating sleeping-bags. This bag is used on arctic expeditions all over the world. Price: 50 Euro / 500 Sek for the entire adventure. 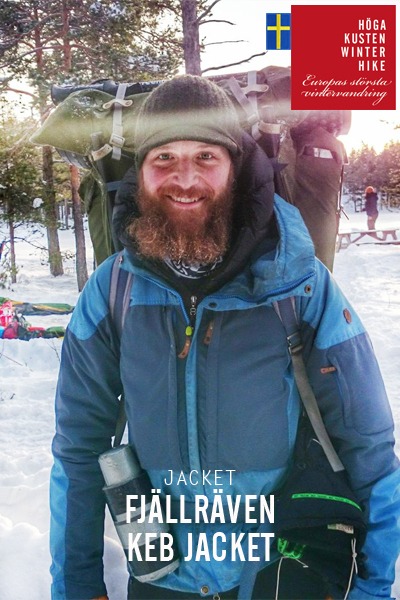 We are now moving into the fith year of the High Coat Winter Hike and we belive we are getting pretty experienced on what equipment that make winter adventures a little more comfortable. 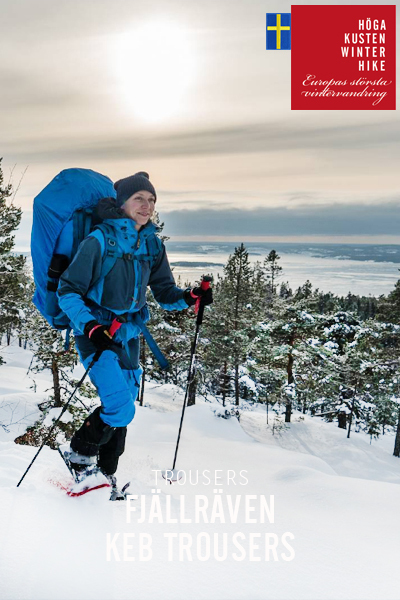 You probably do not need to buy any new equipment and you would probably borrow what you do not have – but if you are looking to revitalize your outdoor gear then we can really recommend you to take an extra look at this clothing and equipment.